Here is a brief excerpt from an article by Doug Conant, featured by LinkedIn Pulse. To read the complete article, check out others, and sign up to receive email alerts, please click here. The ultimate goal of leadership is the delivery of exceptional performance that creates value for all stakeholders in an enduring way. This goal demands that leaders create a clear sense of direction for the enterprise. The concept of Creating Direction is truly fundamental to building a high-performance organization. Importantly, the direction must be clear, compelling, and flexible enough to enable people to plug into it in a way that works for them and the enterprise. If it is not sufficiently flexible, it will be hard (if not impossible) for the employee proposition to deliver enduring value. So, set yourself up for long-lasting success with your leadership by asking yourself, and answering, these three provocative questions. These questions can help you gauge if you are laying a solid but flexible foundation that can create a distinct sense of direction for your organization. 1. Do They Trust You? Trust is the secret to unlocking extraordinary performance — and it’s essential for properly orienting people to perform superbly. If they don’t trust you, you simply cannot count on them to follow you in any direction. Have you earned their trust? Have you demonstrated your character and competence in such a fashion that people are really ready to respond to what you have to say? Without creating a high sense of trust and respect in your relationship, you cannot create direction, drive alignment, build organization vitality, or produce sustainably extraordinary results. Conversely, when you do cultivate trust and respect, the potential for your organization becomes limitless; all things are possible. 2. Is Your Clarity of Purpose Unmistakable? Once people trust and respect you, the table is perfectly set for creating a sense of direction. Now, you need to be prepared to convey a clarity of purpose that is compelling, distinct, and clear. Have you thoughtfully reflected on the purpose of your work? Have you found the “plumb line” that helps associates connect their work to the purpose of the enterprise – and shared that purpose broadly and deeply with the organization? Your purpose should be expertly articulated: the sense of direction should be collaboratively developed, strategically grounded, earnest, visible, and actionable to all stakeholders. Anchor your expectations in a concept that everyone can understand and rally around with enthusiasm. During my tenure as CEO of Campbell Soup Company, our mission was: “Together we will build the world’s most extraordinary food company by nourishing people’s lives everywhere, every day.” This direction was underpinned by a tapestry of more specific expectations that included Seven Core Strategies, a Campbell Promise, a Campbell Employee Value Proposition, and a Campbell Leadership Model. It was further brought to life through an Annual Objective Setting Process and Performance Review Process designed to more clearly connect our mission to the everyday life of each associate. By supporting our efforts with these additional expectations, in service of our mission, we helped people to deeply engage in the work of the enterprise. Douglas R. Conant is a New York Times bestselling author and keynote speaker with over 35 years of leadership experience at world-class global companies. Doug is Founder and CEO of Conant Leadership. Chairman of the Kellogg Executive Leadership Institute (KELI) at Northwestern University, Chairman of CECP, and Chairman of Avon Products. 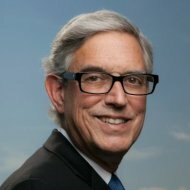 From 2001 to 2011 he served as President and CEO of Campbell Soup Company where he dramatically reversed a precipitous decline in market value, delivered cumulative shareholder returns in the top tier of the food industry, and led employee engagement levels from being among the worst in the Fortune 500 to being consistently among the best.